Between 2006 and 2011, APRR invested €2,400 million building new links and modernising existing infrastructures. Between 2013 and 2015, APRR allocated €713 million in funding for network development works. APRR has agreed to invest €500 million over the period 2014-2018 under the terms of planning contracts, and €719 million by 2021 as stipulated by the motorway regeneration plan. APRR invests to improve links and connect communities. - A466: a new 4 km motorway link connecting the A6 and A46 north of Lyon; cost: €76 million. - A719: the 24 km-long Gannat-Vichy section extends the existing A719 to the west of Vichy; cost: €100 million. 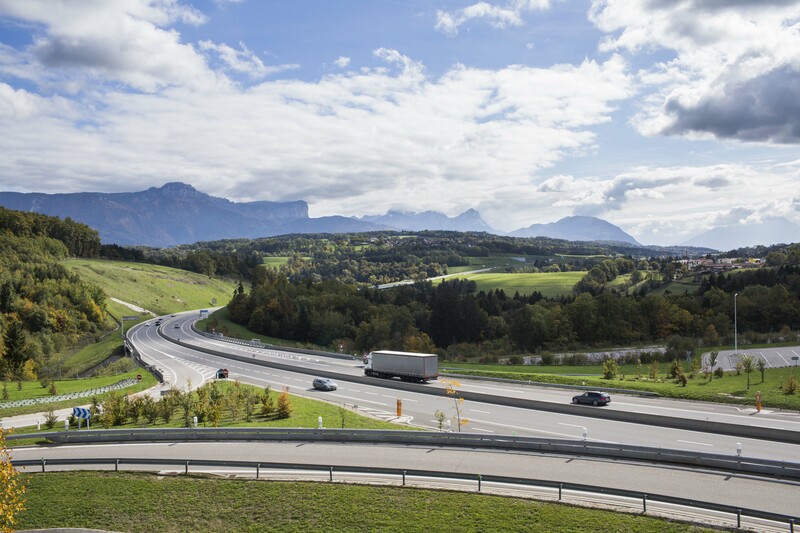 - development works at the A43-A432 node to increase capacity in response to increasing traffic from the north and east of the Lyon area and traffic bound for the Alps; cost: €20 million. - Work to widen the A46 Anse-Genay motorway to three lanes per carriageway; cost: €41 million. 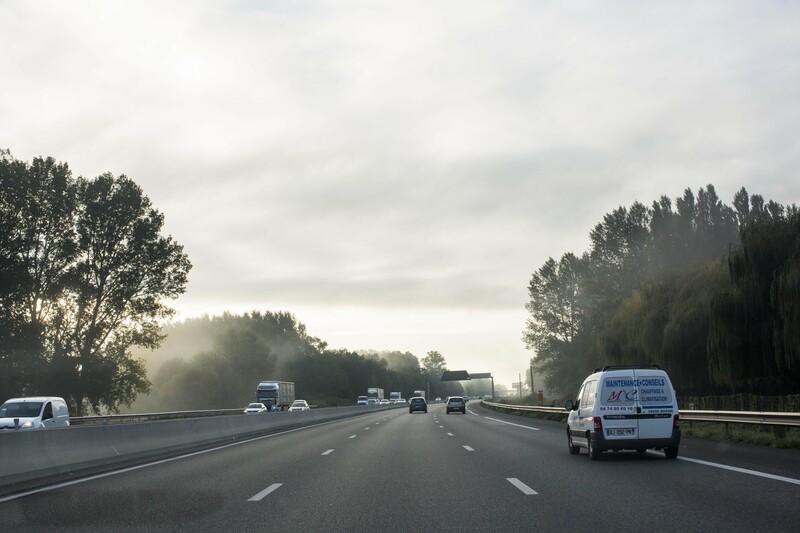 - Work to widen the A71 Gerzat – Le Brézet motorway to three lanes per carriageway along the Gerzat toll barrier - A75 section; cost: €78 million. - Work to widen the A36 Montbéliard motorway to three lanes between Montbéliard and Voujeaucourt. - A43 La Tour-du-Pin Est: partial junction no. 9.1, heading towards Lyon, provides direct access to the motorway network from the east of La Tour-du-Pin, enabling HGV through-traffic from Les Abrets to be prohibited from driving through the town; cost: €8.3 million. - A48 Mauvernay partial junction: the new partial junction, n°11 near Moirans, leading towards Lyon, was commissioned in late September 2014. This junction provides direct access to the A48 motorway to and from the Lyon region and related infrastructures such as the airport and TGV intercity railway stations); cost: €8 million. Between 2006 and 2011, APRR invested €2,400 million in network development projects. APRR’s investments in new links, road-widening works and new access points are expanding the network and making it more accessible. extension of the A719 motorway between Gannat and Vichy (14 km – €100 million). A71 motorway north of Clermont-Ferrand (7 km – €75 million / work conducted in 2013-2014). Reconfiguration of the A43 – A432 node (€15 million / works conducted in 2012-2013). The network was entrusted to APRR under the terms of concession agreements drawn up by the French government in 2001. APRR has an obligation to hand back an upgraded, more extensively developed network when these contracts expire in 2035 and 2036, for APRR and AREA, respectively. Modernising the network is therefore a priority for the Group. 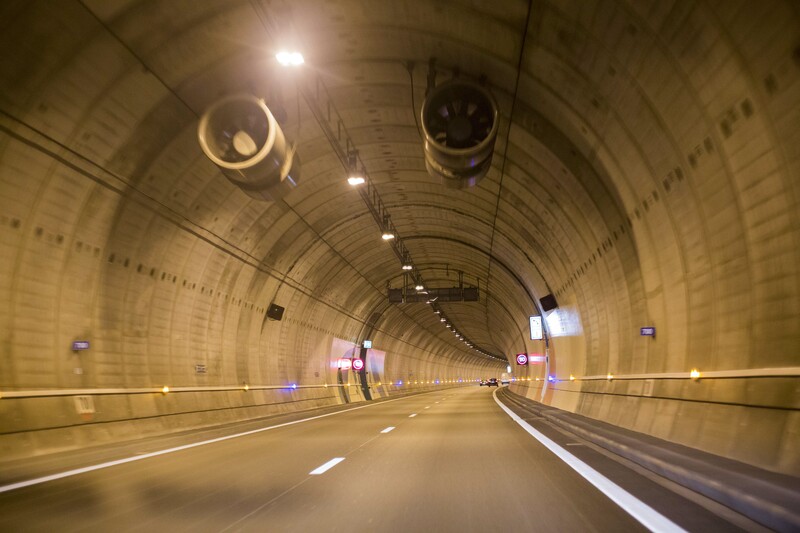 Lighting in the Dullin tunnel on the A43 motorway (€4 million). APRR invested €17 million in noise reduction solutions between 2013 and 2015.